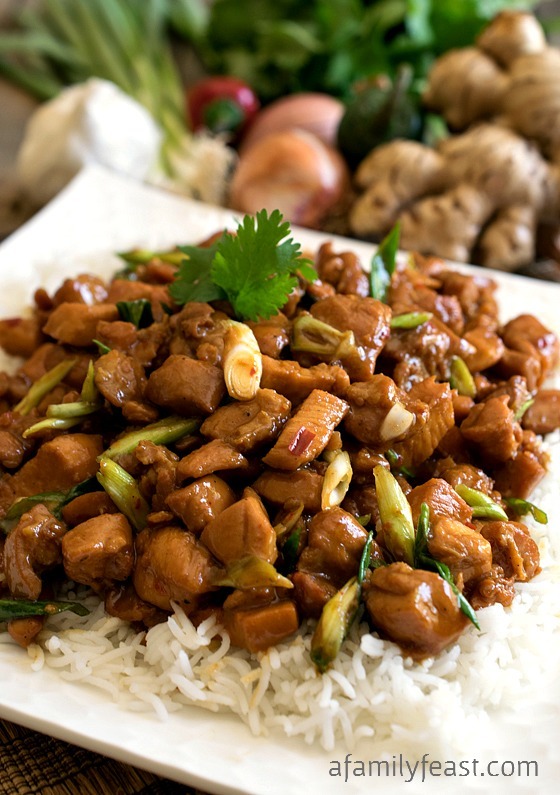 Put a delicious dinner on the table in fewer than thirty minutes with today’s recipe for Orange Chicken and Vegetables! 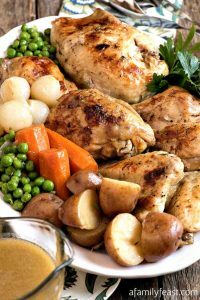 Seriously – this is a meal that your whole family will love! 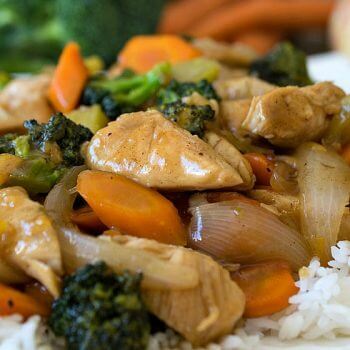 A mix of chicken tenders and sautéed vegetables are smothered in a sweet and spicy sesame-infused sauce made with orange marmalade, orange juice, soy sauce, sesame oil and Chinese five-spice powder. We included carrots, onions and broccoli in our recipe – but other stir-fry vegetables would also be great such as peppers, mushrooms, asparagus, pea pods, or water chestnuts! This dish cooks up quick and easy! 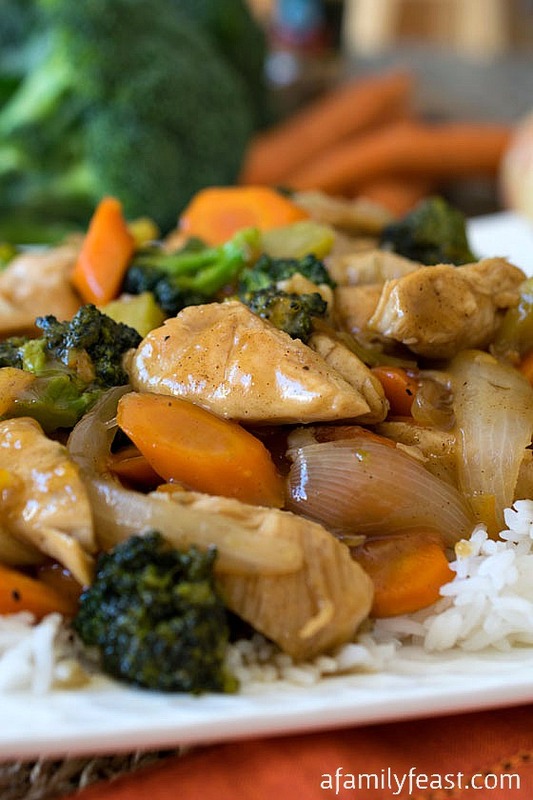 In fact, if you decide to serve this orange chicken and vegetables over rice like we did – the rice takes longer to cook than the rest of this easy skillet dinner! If serving over rice, begin cooking the rice now. 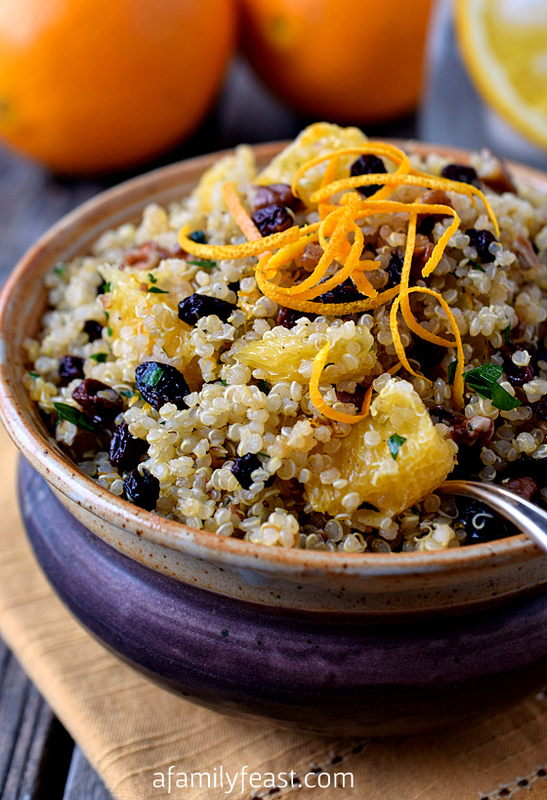 In a small bowl, mix marmalade, orange juice, soy sauce, vinegar, five spice powder and corn starch. Mix to incorporate and set aside. In a large sauté pan over high heat, place two teaspoons vegetable oil and two teaspoons sesame oil. Once pan is smoking hot, add chicken tenders trying not to crowd. Brown on both sides about 4 minutes total. 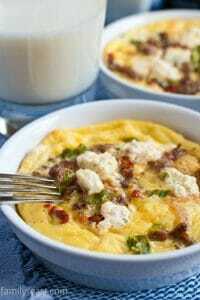 Remove to a plate and set aside. It is OK if still a bit pink in center. They will cook in their own heat while you prepare the rest of the dish. Keep the pan on high and add the remainder of both oils and add onion and carrots. Sauté for two minutes then add broccoli and garlic. Sauté for one minute and add stock. Scrape up brown bits from bottom. Reduce heat to medium and cook to evaporate chicken stock. By then the vegetables should be tender. While vegetables are cooking, cut cooked chicken tenders into quarters. Add cut up chicken and any liquid that has accumulated on the plate into the pan. Stir the sauce again and add to the pan. Cook just until the chicken is heated and the sauce is thick and hot. 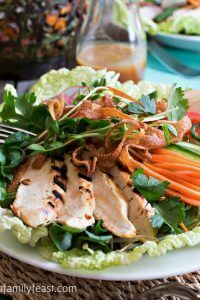 Love this great weeknight meal! 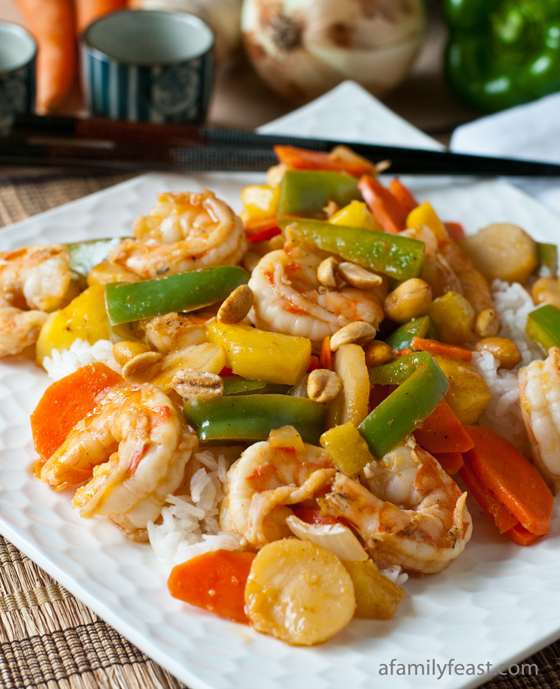 Stir fry’s are one of my favorite dinners and I love the orange in this one! Chinese 5 spice is one of my all time favorites too. I can almost remember when I became aware of its existence. I was amazed and thrilled that I had access to that flavor. I have some family members that groove on orange chicken. This version is going to hit the spot. Thank you Carol! I hope you all enjoy the recipe! Chinese 5 spice is one of my favorite spices. 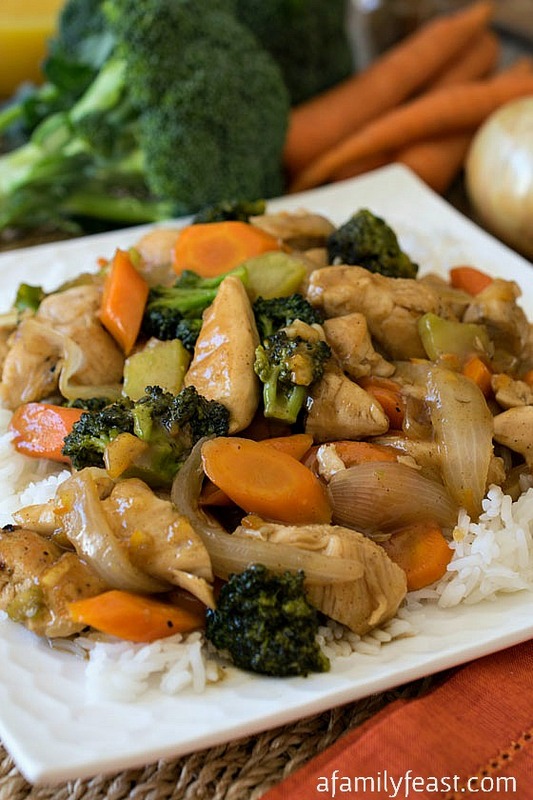 Love this version of orange chicken loaded with veggies.